Harvard isn't just about continual studying and getting good grades. These students know how to have a little fun. 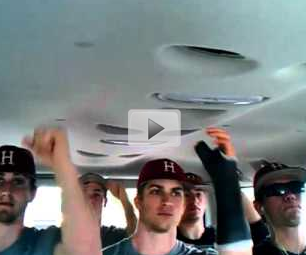 While on a trip, the Harvard Baseball Team put their creativity to the test and created this choreographed dance to Carly Rae Jepsen's "Call Me Maybe." With synchronized moves and their Harvard apparel, no wonder the following video made such a commotion online. Take a few minutes and see what all the fuss is about.